"Mr. Newman, known to some as the 'Prince of Prints' and to others as 'Mr. Americana,' embarked on his lifelong work when he discovered in the attic of his grandmother's old boarding house in Ocean Grove, New Jersey, two large folio Currier & Ives prints. He promptly took them to a local antique shop and sold them at what he thought to be a very good price. Rising to the bait, he abandoned his previous job and became a runner--buying and selling prints. A born salesman, he came to know prints and loved to sell them. In 1928 he purchased The Old Print Shop in New York which was then run by two employees; today  it has a staff of twelve. Mr. Newman soon emerged as an acknowledged authority in the world of prints, maps, and American art, and he was especially famous for his leadership in restoring to fame the work of Currier & Ives. He worked closely with the late Harry T. Peters of New York, the greatest collector of all in that field; and he also helped to build the notable collections of Irving S. Olds, the naval print expert, and William Coverdale, a specialist in Canadian subjects..."
Kenneth M. Newman, Harry Shaw Newman's son, started full time at The Old Print Shop in 1949 and learned the business at his father's side. Early on he traveled frequently with his father visiting museums, collectors, and fellow dealers. On one trip to the Shelbourne Museum in Vermont, the founder, Mrs. James W. Webb, asked him to bring his toolbox. Mrs. Webb led him to the newly renovated Light House and said: "Please hang the art." By Sunday afternoon when it was time to leave, he had hung over 150 prints and paintings from the ceiling to the floor. 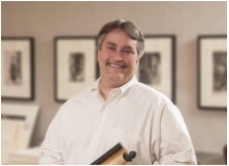 Today, Kenneth M. Newman is considered one of the leading experts on American nineteenth-century prints. 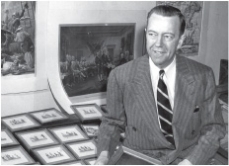 His dedication to Americana and Currier & Ives lithographs is well known to the readers of Portfolio. He is recognized as having restored to public notice the work of John James Audubon, American urban views, and eighteenth-century American imprints. He has assisted in the building of many notable collections of American prints, both public and private. 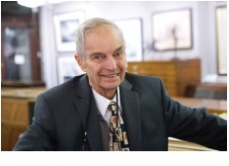 Robert K. Newman, Kenneth M. Newman’s eldest son, worked summers at The Old Print Shop starting in 1972 and joined the staff after graduating from college in 1979. He received a BFA in photography but spent most of his time learning printmaking and studying art history. His interest was in American graphic art, and with the galleries strong position in eighteenth and nineteenth-century art, he sought to add early twentieth-century artists and printmakers to the gallery's inventory. Today, the shop is one of the leading galleries featuring early twentieth-century American fine art prints. Collectors can find work by Frank W. Benson, Arthur Wesley Dow, Childe Hassam, Edward Hopper, Blanche Lazzell, Martin Lewis, Charles Sheeler, and John Sloan in our inventory. Robert is a researcher, cataloguer, and president of the gallery. His personal interest includes early American imprints, and along with his brother, Harry, they have been the leading promoters of this period of America art. He has served on the board of the International Fine Print Dealers Association for eighteen years starting in 1992 and served as president for six of those years. 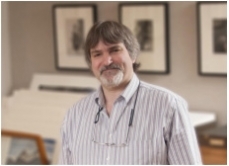 He has been chairman of the Print Fair committee since 1997 and has run the Capital Art Fair in Washington, DC, since 2009. Harry Shaw Newman II, Kenneth M. Newman’s younger son, joined the staff in 1982. Like his brother, he had been a part-time apprentice during the summers and school holidays. Learning the business like his father, he brought with him an interest in eighteenth and nineteenth-century American prints and maps. Today, he is considered one of the world’s experts on cartography and has built the map and atlas collection at the shop to historic levels. Being interested in American cartography also brings with it the necessity to know the early, pre-nineteenth-century American printmaking. Most of the early American cartographers also produced a number of important etchings and engravings. Doolittle, Pelham, and Revere all produced maps and historic images of America. Harry is a researcher, cataloguer, and vice president and treasurer of the gallery. His personal interests include maps, eighteenth and nineteenth-century American art, and twentieth-century sporting art.